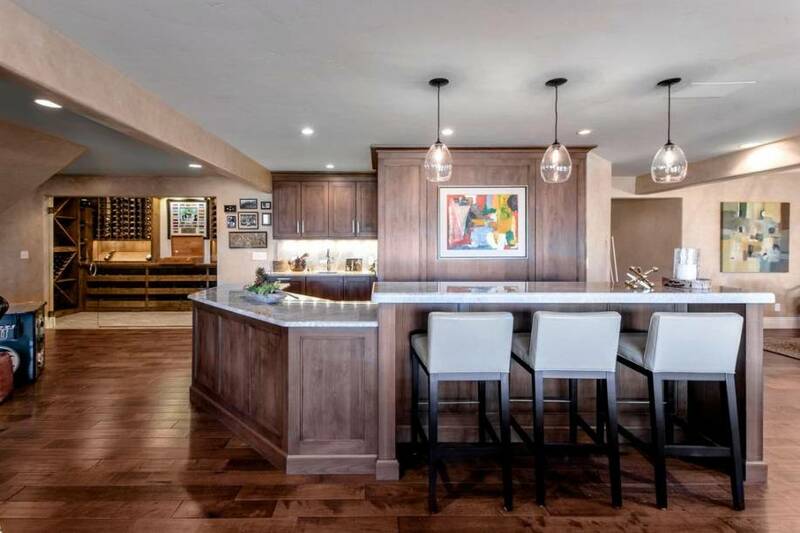 In our collection of pictures of finished basements with wet bars you will see that many homeowners opt to undertake large and extravagant projects, installing built in entertainment systems, pool tables, a playroom for the kids and even a diy home theater. However, other pictures will show smaller spaces typically with only enough room for the counter itself, stools, and a few couches for seating. 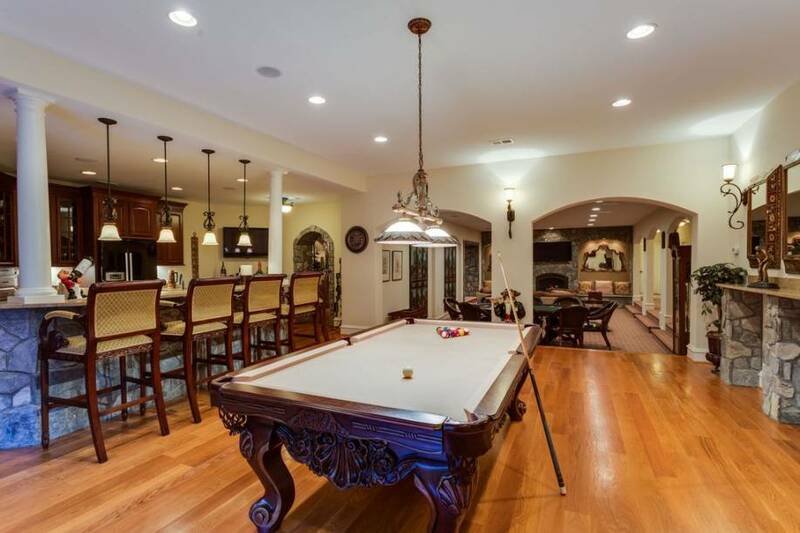 If you do not have a lot of space or do not want to spend the time and money to finish your entire basement, you can designate a certain area for a bar, entertainment system, and seating and leave the unfinished area for storage. 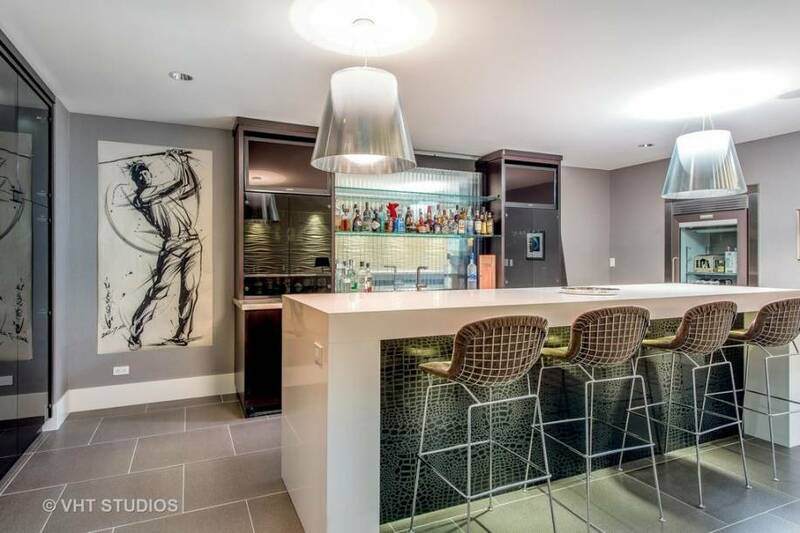 For a homeowner with a smaller house, a corner bar would work great in the basement because it takes up minimal space. 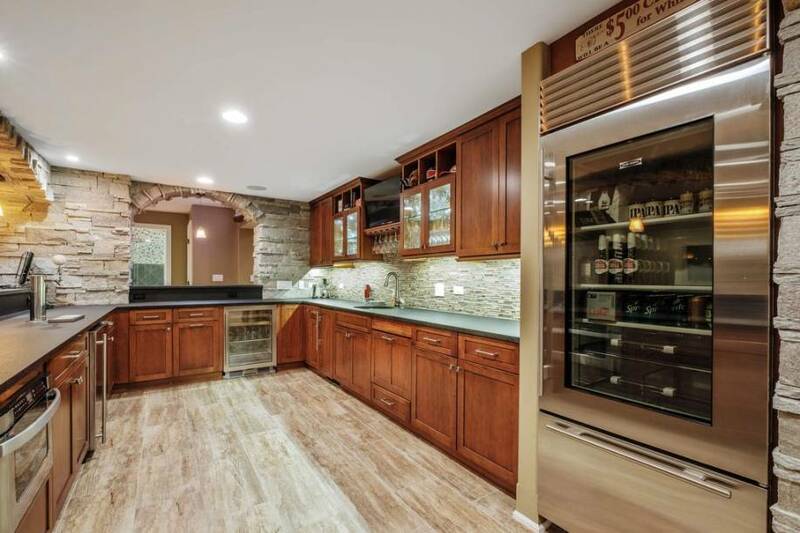 Basement wet bars are often lumped under the category of man cave ideas because they are associated with a place where men can go to hang out with their buddies, toss back a few beers, and watch the game. However, if designed properly, wet bars for your home can function as a hang out space for both men to kick back and watch a football game or women to have an exciting girls night in. If this space is being shared you will want to choose décor that fits both of your design tastes. A traditional Irish Pub designed with paneled walls, dark brown counters, and a wooden bar top fulfill the dreams of a man cave so focus on more neutral décor. Although in-home saloons are typically built in the basement bar images and designs show this feature installed in different areas of the home such as the kitchen, dining room, and also living room. Some homeowners even opt to put in an outdoor patio bar with a built in grill, cooking area, plus storage space for drink mixes and alcohol for their spring and summer entertaining. 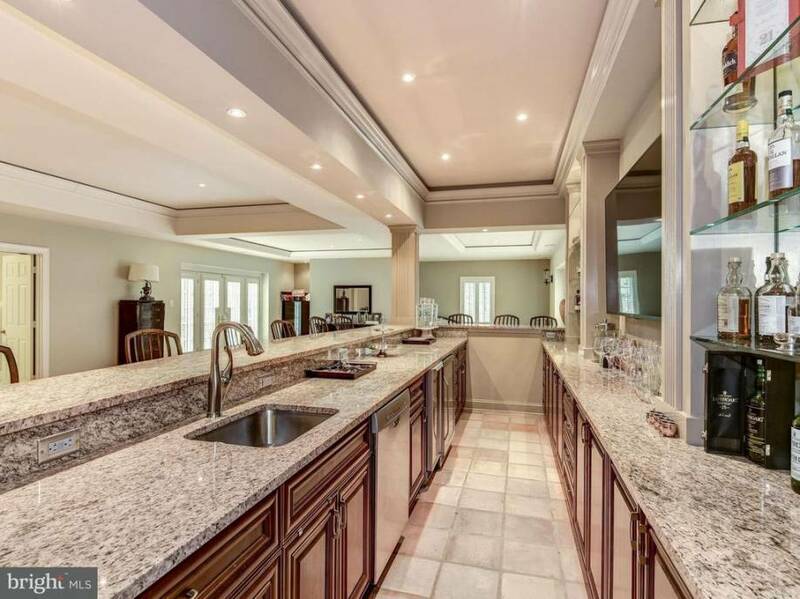 You do not need to spend a lot of money on custom made bars for a home, you can find old kitchen islands from thrift shops to refurbish and place along a wall of your basement. Some inexpensive materials for home bar tops include prefabricated granite or laminate countertops that can be installed at a cheap price. A new and popular decorating trend for modern houses is installing an in-home mini bar. Traditionally these features were incorporated into the floor plans of a new kitchen or even dining room, however with the increasing need for more space in these areas, bars are beginning to be added in the basement. 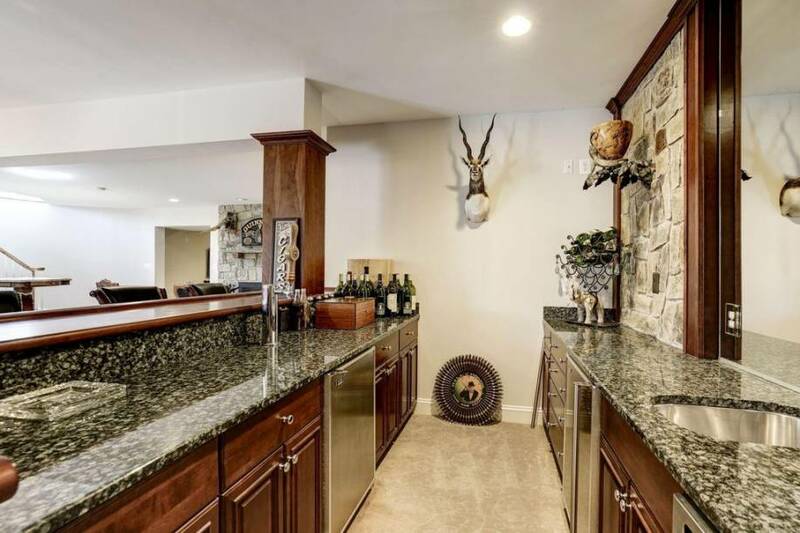 A basement wet bar is the perfect addition to a home filled with people who love to entertain guest because it provides a place for adults to sit back and relax with friends. Plus, since more families are remodeling to incorporate a home theatre or play space for their children, integrating a bar area in the designs will provide a complete space that your entire family can enjoy together. Often times it is easier to build a home bar in a basement that is already finished, as it will eliminate a few extra steps of the process. However if your basement is unfinished and has just been used as an extra space to store items that do not fit elsewhere in your home, building a bar and lounge could be the perfect excuse to finally finish this space! You will first want to start by measuring out the dimensions of the room, framing the walls, and then putting up sheet rock. Once this step is complete you can begin designing and building a bar in your basement. First decide where you would like to place your bar, typically a shorter wall will be the best placement so that a longer wall can be used for extra seating or entertainment. If you have just finished framing the walls and putting up new sheet rock in your cellar, the next step of the remodeling process will be searching for new basement ideas and designs that you can implement in this space. One design that is trending for 2018 is installing a bar in the basement of your home. However, where do you look to find ideas for these spaces? Department stores and home improvement stores often stage miniature examples of a basement bar in their display rooms to help homeowners with their design process. You can even purchase custom built bars for basements so you can obtain a piece that melds perfectly with your designs. Browsing through the our photo galleries are also a great place find awesome basement designs such as a funky red, black, silver and white 1970s bar theme or a more traditional, western style with wooden counters and leather stools.